Moss, in case you were not already aware, is a pretty freaking amazing plant. It does not have roots, allowing it to grow in unlikely places like bits of rock at the top of a glacier or on lifeless, barren fields of lava. It provides a habitat for an entire community of microscopic critters. Its leaves are only one cell thick! And it must have the craziest sexual reproduction strategy in the entire plant world. Now, a group of entrepreneurial scientists are working to take moss to the next level. This month Bay Area biotechnology startup Taxa debuted Orbella, moss that has been genetically engineered to produce a fragrance. It comes in three different scents: patchouli, geraniol and linalool. Gizmodo had a chance to take a whiff of the stuff this week at the SynBioBeta conference in San Francisco. The geraniol and patchouli scents were subtle, vaguely earthy and floral on top of the already earthy moss. But the linalool scent was as fragrant as a freshly opened air freshener, producing floral aroma that smelled almost like basil. To achieve scented moss, CEO Antony Evans told Gizmodo that Taxa spliced in genes associated with a certain scent—like, say, patchouli—into moss genes, designing the genes to insert into the moss online, literally inserting those genes into moss cells a gene gun and then growing the newly engineered moss cells in liquid form in the lab. Taxa’s vision, though, is bigger than next generation Chia pets. “We’re interested in sustainability,” Evans said. 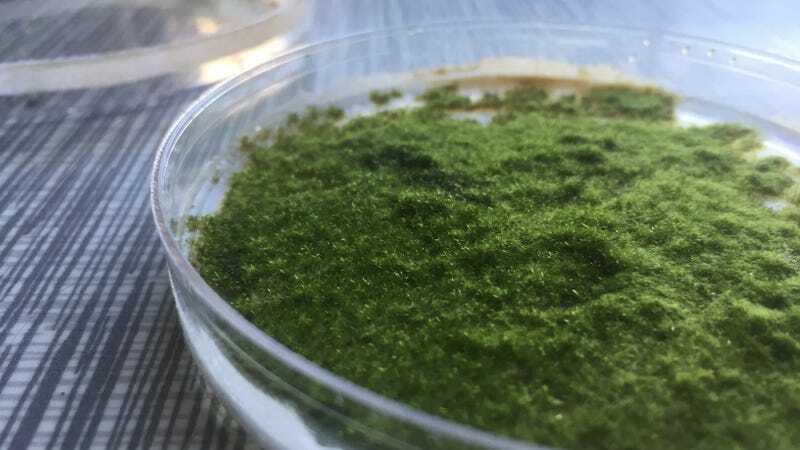 “Eventually everything we produce will be produced biologically.” Evans envisions using moss in much the same way that pharmaceutical companies are now using yeast to synthesize the components of drugs. Moss is an ideal plant for such a vision because you can grow it as a liquid. Splice some moss with say, vitamin B, and you could simply harvest a little moss to throw in your smoothie every morning to get your daily dose. “Moss is like a little self-replicating, zero-waste factory,” he said. In the meantime, Taxa is working on creating more scents. After that, the company’s next project will be to splice moss with a mouse gene that helps to mediate toxicity in the mouse body, including its lungs. The theory is this gene might also make moss more efficient at cleaning the air, functioning like a biologically powered air filter. His ultimate goal, to turn moss into a kind of sustainability powerhouse, veers sharply toward science fiction. “The real future is even crazier,” Evans said. “Every time you wanted a new flavor of moss, you could just download it online and it would automatically be engineered in your kitchen.” Basically, Star Trek’s replicator, but with moss. That vitamin-producing moss vision, it’s safe to say, is still one that’s pretty far in the future. Fragrant moss is a pivot from Taxa’s original product, a bioluminescent plant that in 2013 raised $484,013 on Kickstarter. But the plant (first a tobacco plant, then glowing moss) never did glow quite brightly enough to be discernible without squinting your eyes in total darkness. The problem: While it’s easy to splice a few genes for bioluminescence into a plant, it’s a lot harder to get them to visibly express. The same issue, no doubt, is the reason that the patchouli-scented moss was only subtly patchouli-y. In the meantime, though, moss that smells anything besides mossy is still really pretty neat. 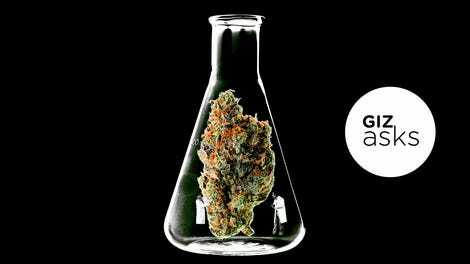 Why Is Weed Getting More Potent?